is it possible to create a dark mode version of this forum piboso? like this style..
Basically remove all bright white and replace with dark grey? or is this alot of work.. The forum ist based on a premade "engine" I would say. So therefore Pib only has to Download another Template/Skin and add it to the Forums FTP. But I don't think that's worth the work for now. Black backgrounds really mess with your eyes, especially if you have to stare at them for long periods. I really hope it would be an option to have both. You used to be able to change forum theme but the option seems to be missing now..
One of the Admin's can upload new Themes as they please. 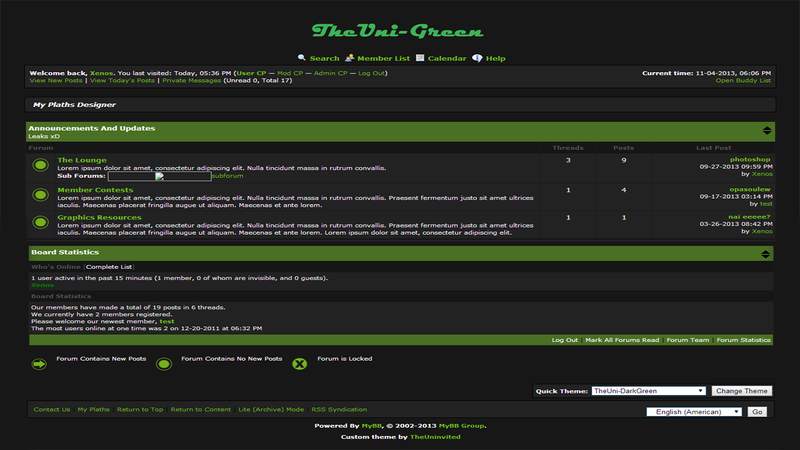 I've made a dark mode, you can activate it in your forum profile. Let me know if you find any problems! Quote from: Snappe on April 11, 2019, 06:38:58 pm I've made a dark mode, you can activate it in your forum profile. thank you for this, it makes browsing the forums much more pleasant at night.